Yep, we’re not done with online Christmas slots just yet – after all, we’ll have plenty of time for playing festive games over the Christmas holiday! 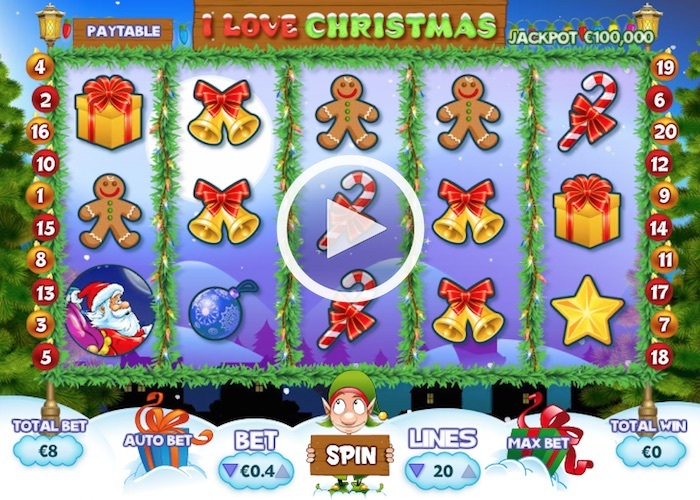 The I Love Christmas slot looks the part and has everything you could want from a seasonal slot game, so let’s have a closer look. There are some nice touches here, including an elf holding the spin control and watching the reels above as they spin. You can also see more of the background even as the reels spin, and there are mountains to complete the snow-covered scene. It’s all very festive indeed. The graphics are very good – because all the symbols have a pale border around them it makes it easier for them to stand out. They have also used a nice palette of colours for the game and it’s easy on the eye too, maybe to ensure you’re happy to play it for an extended period if you fancy doing so. In addition there are few controls to be concerned about here. You adjust your line bet and the number of lines you want to play, and two gifts in the snow represent the auto-bet and max-bet options also available. 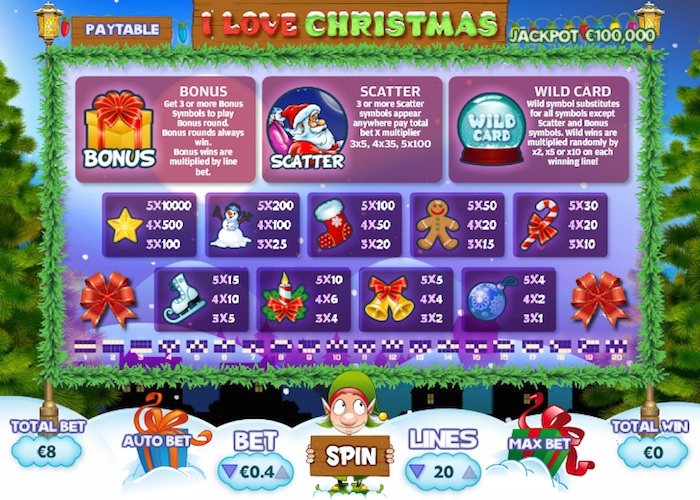 Also the paytable is easy to find in the top left, just to the side of the I Love Christmas online slot logo. This brings up a single page to view, so you don’t have to spend too long figuring out how the game works. The good news is all the symbols are festive – there are no A, K or Q symbols given a festive makeover here. You’ve got ice skates, snowmen, Christmas stockings, gingerbread men and candy canes all present and correct. Great stuff! 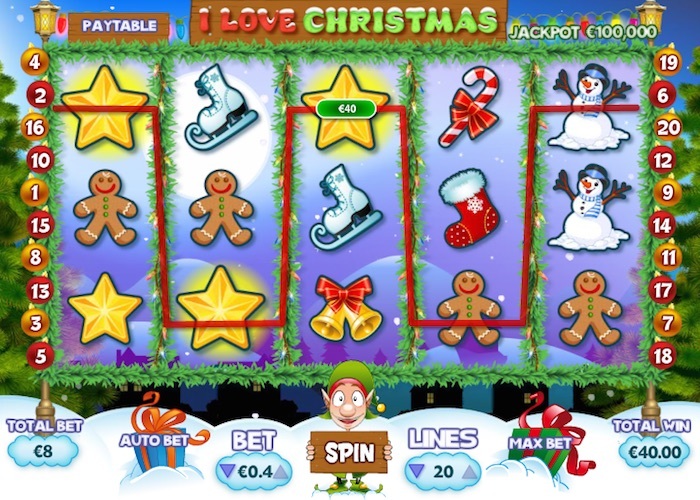 Right, so let’s see whether the I Love Christmas Pariplay slot (I keep wanting to put panettone – see, I’m in festive mood already) lives up to its festive appearance. Let’s firstly look at the scatter first – a suitably-festive circular symbol featuring the big man himself, Father Christmas. Three or more award a payout which is either 5x, 35x or 100x your bet amount depending on how many scatters you get. Finally we mentioned a bonus symbol, and in this game, it turns out to be a yellow gift box wrapped with a red bow. That makes it easy to spot and you’ll want to spot three or more of them if you can. So if this happens, you’ll get to play the bonus round. This takes you to the Christmas tree where, of course, you’ll find a handful of presents. You get a chance to choose three to open from a total of six. Where you can get either a nice surprise or a lump of coal! The gifts will reveal some tasty credit prizes that are added up to calculate your prize. The game has a small range of betting options, but the lowest one is £2, which involves placing a 10p bet on each line, hence the biggest bet is £8 per spin. The jackpot is clearly indicated at the top right, and is worth £100,000. And wouldn’t that lead to a lovely Christmas? There are other decent prizes to be won other than the biggie, though. We also have the return-to-player percentage. After some research, we found a figure of 89%. This seems very low indeed; it’s rare to come across a game that offers anything under 90% (and that’s on the low side). Mind you, any game that has a large pot to be won as this does can have a lower RTP overall to reflect that. 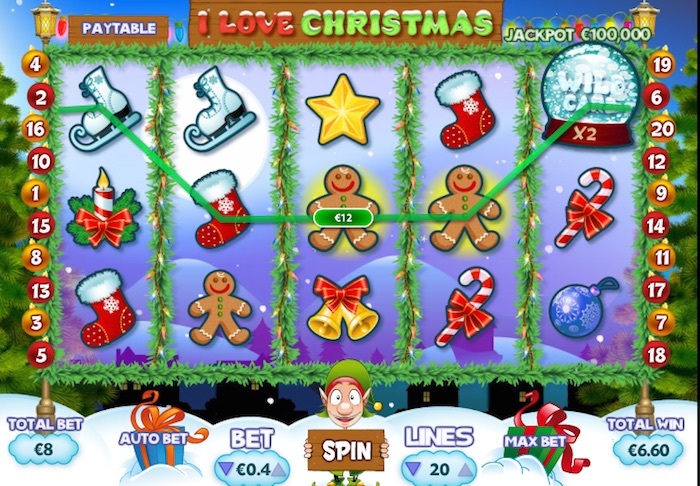 This is one of the festive mobile slot games you can play this year, but does it have enough to reel you in? 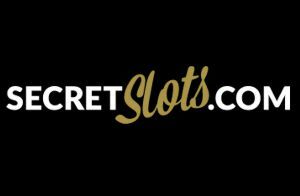 A lack of free spins and just one basic bonus feature may not be enough for some. The main draw is obviously the jackpot, but since the odds on winning that are long and the RTP is low for a slot game, this Christmas slot may not bring festive cheer for everyone. 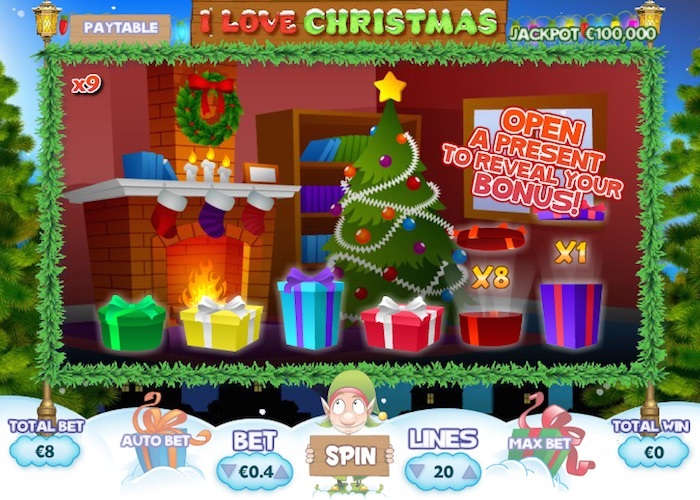 It’s worth a try in demo play mode to start with though, and if your budget can stand the lowest bet, you may feel lucky enough to try out the I Love Christmas slot.